Rep. Tammy Duckworth is being accused of using her position at the Illinois Department of Veterans Affairs to advance her political career, according to a Crain's Chicago Business report released Thursday. The report is centered around allegations made by a former Duckworth co-worker at the Illinois VA.
“I did’t see any real efforts made by her,” Crump told Crain’s. "I honor her (military) service. . . . (But) when we do this work, it has to be about veterans. It can never be about us." 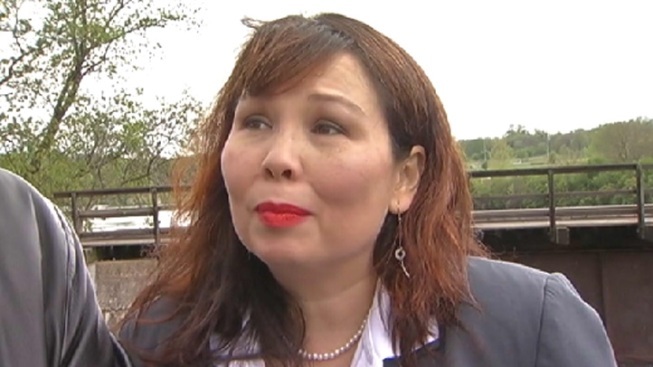 Duckworth, who currently serves as the U.S. Representative for Illinois’ 8th Congressional district, is the Democratic frontrunner in the race for Sen. Mark Kirk’s U.S. Senate seat. Crump, who worked in the department for eight months before allegedly being ousted by Duckworth, claims the congresswoman used her position as director to gain notoriety and further her political career. “I felt she was building her way politically,” Crump said. “I won't say she didn't care about veterans." Crump’s job was eventually code exempt. Matt McGrath, Duckworth’s campaign spokesman, explained that her decision to replace Crump was purely professional. "By right and by custom, Tammy could hire her own assistant director to more effectively implement her vision for the department, which she did by hiring Sergio Estrada, Jr., a retired Marine Corps sergeant major who served honorably in both Iraq and Afghanistan and understood the unique challenges facing returning Veterans,” McGrath said in a statement. Mark Kirk Blasts PAC Over "False Ad Campaign"
The Duckworth camp dispelled Crump's allegations and stood by the congresswoman’s record. “It’s unfortunate Ms. Crump feels this way, but we’re confident Illinois voters will see past curiously timed election-year attacks and instead focus on Tammy’s record of standing up for Illinois families and starting innovative programs that have helped Veterans across this state,” McGrath said. Crump admitted that she decided to go public with the allegations after running into Andrea Zopp’s husband at the gym. Zopp will face Duckworth in the March 15 Democratic primary for U.S. Senate. Zopp was recently endorsed by the Chicago Sun-Times, while Duckworth was endorsed by the Chicago Tribune Friday. Incumbent Republican Kirk, who has vocally criticized Duckworth’s work at the VA, also weighed in on the matter. "The facts outlined in the Crain's article are an incredibly disturbing development and shed new light on Rep. Duckworth's failures at the Illinois Department of Veterans' Affairs,” Kirk campaign manager Kevin Artl said. Duckworth is currently also the target of a whistleblower lawsuit. Two department employees allegedly received negative evaluations and were harassed after filing complaints against an official in the department. Duckworth claims the case lacks merit and was previously dismissed by a federal judge. Duckworth has also come under fire after a 2009 audit found the department to be sloppily run and lacking internal financial records and controls. Nonetheless, the Duckworth camp championed the accolades and achievements earned by the congresswoman during her tenure at the VA.
Duckworth, Zopp and state Sen. Napoleon Harris will face off in the March 15 Democratic primary. Kirk and Oswego businessman James Marter will face off in the March 15 Republican primary.